Through a technology incubator and a planned engineering makerspace, the College of Staten Island is forging partnerships with tech-based startups and building a culture of innovation both on campus and in the local community. 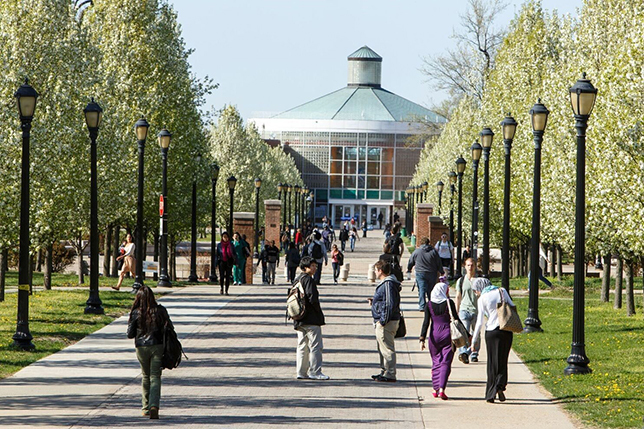 April 11, 2016 marked the occurrence of a small but significant event at the College of Staten Island (CSI), a senior college of The City University of New York, the nation's largest urban university system. On that day, the first-ever graduation ceremony took place for our students successfully completing a new CompTIA A+ course, a program that marked our Office of Continuing Education's initial venture into offering professional certification programs in computer technology. With much less fanfare, something equally compelling took place at the graduation when Borough President James Oddo, who jointly sponsored the program with AT&T, gave his keynote remarks. In addressing the importance of technology in advancing communities, he raised the notion of creating of an Innovation District on Staten Island. As set forth in the 2014 Brookings publication by Bruce Katz and Julie Wagner, The Rise of Innovation Districts: A New Geography of Innovation in America, Innovation Districts are geographic areas containing "economic, physical and networking assets" which can create ecosystems of innovation where "leading-edge anchor institutions and companies cluster and connect with start-ups, business incubators and accelerators." In terms of their impact on communities, Innovation Districts "have the unique potential to spur productive, inclusive and sustainable economic development." Given Staten Island's history of isolation and neglect, Oddo's mentioning of Innovation Districts and Staten Island in the same breath could have been perceived, at the time, as somewhat far-reaching. Staten Island has long been considered by many residents as New York City's "forgotten borough." This rather inauspicious self-designation stems, in part, from its geographic isolation from the city's four other boroughs, Manhattan, Brooklyn, the Bronx and Queens. Indeed, prior to the opening of the Verrazano Bridge in 1964, the only direct connection to Staten Island from other parts of the city was by ferry. As the lone conservative-leaning borough, residents famously voted to secede from the city in 1993 in an effort that ultimately failed. As explained by the Staten Island Advance in "After Brexit, Staten Island recalls its own secession movement," the borough's succession attempt reflected a groundswell of frustration emanating from the hostile relationship with the then-mayor; a decrease in political representation within city government; the widely held perception of neglect due to the lack of infrastructure investment in transportation; and the longstanding failure to close the Freshkills Landfill, a massive local waste facility that held the odious distinction of being the largest landfill in the United States. Despite this backdrop, the "forgotten borough" label may soon be fading from the lexicon of Staten Islanders. Seemingly relegated to the sidelines as waves of major neighborhood development projects rippled across the other boroughs over the past few decades, a resurgence of economic growth has finally taken hold on Staten Island. 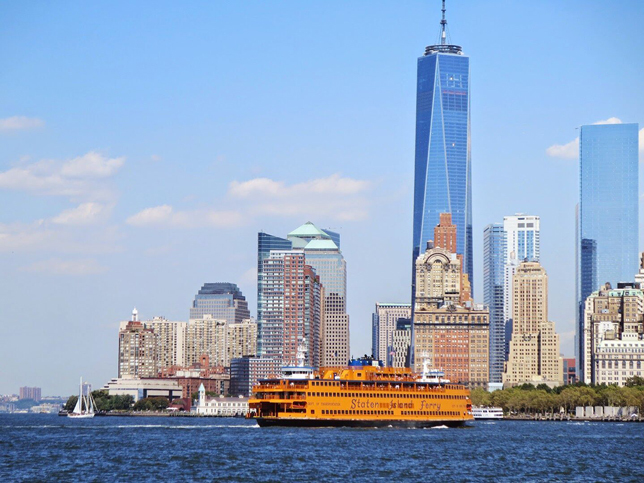 While the Staten Island Economic Development Corporation has identified no fewer than 46 major projects currently in progress island-wide, much of the attention has gravitated to the North Shore section, located a short distance (a 25-minute ferry-ride across the New York Harbor) from Manhattan. Promising new developments are bringing retail outlets, restaurants, hotels and prime office and co-working spaces to the area. At the center of it all is the planned construction of the New York Wheel, a signature tourist attraction that will become the world's largest observation wheel, surpassing the London Eye. The North Shore is slowly, if not steadily, becoming a geographic area where innovation can begin to thrive. Less than a month following the Borough President Oddo's remarks, the College of Staten Island officially opened the CSI Tech Incubator in the North Shore — effectively placing a stake in the ground as Staten Island's first technology startup program. While centers for innovation are omnipresent in other areas of New York City, Staten Island did not have a single business accelerator or incubator dedicated to technology innovation. Funded by the New York City Council through its Committee on Technology previously led by James Vacca (Bronx) and now chaired by Councilmember Peter Koo (Queens), the CSI Tech Incubator provides a six-month program complete with a vast array of business services, network connections, faculty expertise and student interns, to help tech-based startup companies grow, scale and contribute to the area's economy through local investment and job creation. Three promising tech companies were accepted into the inaugural cohort of the incubator program and were launched to remarkable success. Vectuel, a startup from France that creates highly interactive 3D applications for real estate and other urban projects, collaborated with New York City's Meatpacking Business Improvement District to create a virtual reality tour of 13 major development projects, including the redesign of Ninth Avenue. Vectuel also partnered with the Long Island City Partnership and won the New York City Small Business Services Neighborhood Challenge Program to create a wayfinding signage system for the community that will use 3D visualization tools to promote Long Island City businesses and attractions. Another company, mTech, was founded by one of our brilliant computer science students. mTech employs artificial intelligence and facial recognition software originally intended for educational purposes, automating administrative tasks in a school setting through an online venue. The CSI Tech Incubator worked with mTech to help the company pivot its software application to wider market viability. 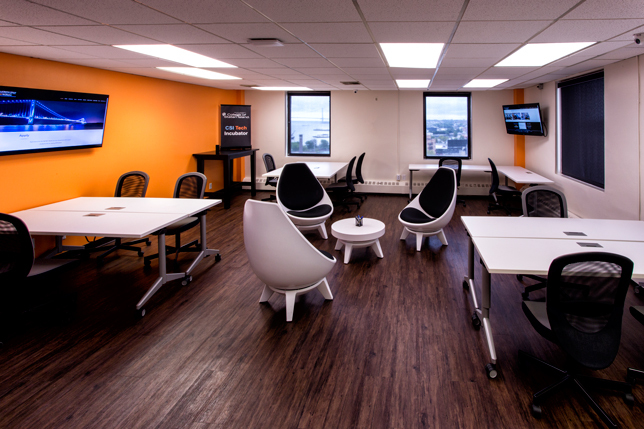 Assisting startups to evolve their business models is a critical component of our incubator program, and mTech is now in a much more advantageous position to succeed. The third company of our initial cohort, Walk & Explore, creates artificial intelligence software enabling smart cities to combine city services, such as tourism and transportation, with personalized user profiles, to turn city exploration into an interactive game. Having already been named the 2017 Best Destination App by international tourism trade fair Fitur, Walk & Explore came to the CSI Tech Incubator to grow and scale its business in New York City. The company reached a level of success beyond what any one of us could have imagined. Following the conclusion of the six-month program, Walk & Explore's owner was asked to testify before the City Council Committee on Technology about the benefits of the CSI Tech Incubator. In dramatic fashion, she concluded her remarks by announcing that she closed a major deal with IBM that morning. The excitement generated by our startups created synergies within the college and the Staten Island community, allowing the CSI Tech Incubator to expand beyond its core mission of supporting its member companies. The incubator has now evolved into the borough's first community technology hub, providing programming to local high school students through game app development and tech entrepreneur camps; engaging our college students and members of the Staten Island community through tech meet-ups and tech job interview training; and hosting international higher education tech and entrepreneur partners, including Shanghai University and Zhejiang University of Technology in China. In reflecting upon the incubator's initial success, we can identify two critical keys to the development of our program. The first was our choice of incubator director. We initially recruited an individual with a skill set that emphasized technical ability as opposed to extensive business and higher education experience. It soon became apparent that our startups already had a wealth of technological expertise and, in fact, they knew their respective technology platforms better than anyone we could offer. The primary area in which our companies wanted assistance was with core business development as applied to the unique context of the tech startup world, including legal services, venture capital and angel investment funding, and business networking. Additionally, our companies needed someone with the ability to connect them with faculty and students to evaluate and test the basic science and research underlying their technology. Indeed, the integration with the academic disciplines is perhaps the single greatest advantage of affiliation with a university-based incubator. Eventually we found the right director with these requisite competencies. The second key was implementing a rigorous applicant screening process. The stark reality faced by all startup companies is that, for myriad business reasons, most of them fail. In preparation for our initial application review, we assembled a committee with expertise in the most critical areas of business technology development to assess our applicant pool. The screening committee included our incubator director; assistant vice president and chief information officer for Information Technology Services; director of the college's Small Business Development Center; chair of our School of Business Department of Marketing; chair of the Department of Engineering and Environmental Science; a vice president of the Staten Island Economic Development Corporation; and the owner of a successful New York City-based tech company. The committee culled through approximately 40 applications, and of those, only six progressed to the interview stage. During the in-person interviews, the company owners were subject to intense and rigorous questioning by the committee, to test the viability of their respective technologies and business models. Only the three most promising startup companies were accepted as our first members — which led to our successful outcomes. This past year, the College of Staten Island took another giant leap in advancing the development of an innovation ecosystem on Staten Island. Building upon the success of the CSI Tech Incubator, the college received $1.35 million in combined funding from City Council Speaker Corey Johnson (Manhattan), Minority Leader Steven Matteo (Staten Island), and Borough President Oddo to build a CSI Makerspace. The makerspace will be housed in the college's emerging Department of Engineering and Environmental Science, which has grown to 80 full- and part-time faculty and more than 600 student majors. The department offers six BS undergraduate programs (including a Bachelor of Science accredited by the Engineering Accreditation Commission of the Accreditation Board for Engineering and Technology, Inc.), two master's programs, two Ph.D. programs and two minors. In 2017, the department was ranked in the US News & World Report for "Best Colleges" in the category of Regional Northeast Universities. The creation of the CSI Makerspace is critical to continuing the engineering department's trajectory to regional and national prominence. Students increasingly look to programs that can make them more competitive in an innovation economy. As explained in the 2015 American Society for Engineering Education paper, "A Review of University Maker Spaces," the hands-on project-based learning of university makerspaces is "an attractive avenue for answering the need for more practice-based engineering that complements the theoretical class structure already in place." Beyond fostering technical skills, makerspaces, similar to incubators, create environments that inspire and hone the critical thinking skills and teaming competencies vital to industry. The CSI Makerspace will be constructed at the College of Staten Island's main campus, which is located mid-island. The project will completely renovate an outdated 1,500-square-foot lab space to create a state-of-the-art innovation center with expansive glass visualization walls, modern work benches and glassboards in an open, co-working environment. 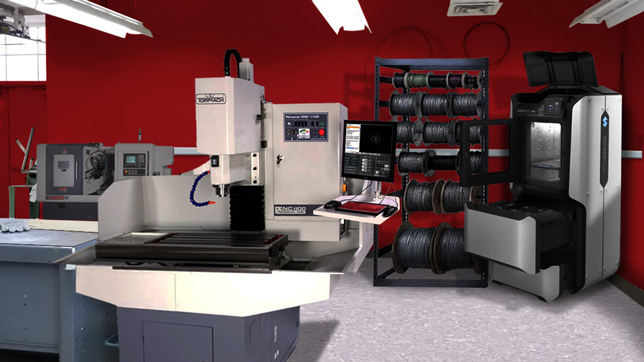 To support high-level concept experimentation and prototyping by faculty and students, it will house advanced 3D printers, laser cutters, lathes, welders and milling machines, with computer numerical control capability. 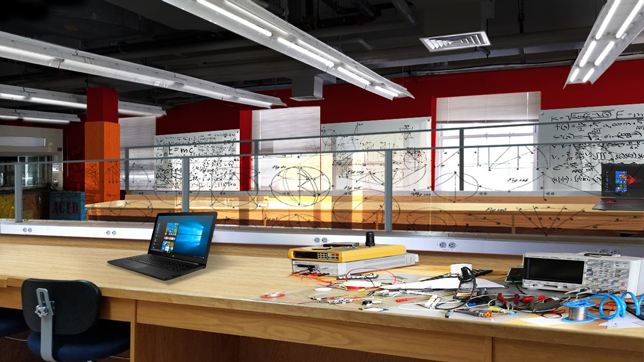 One of the truly unique aspects of the CSI Makerspace, setting it apart from other university makerspaces, is that it will be designed to integrate and work in tandem with the CSI Tech Incubator. Ideation and design creations developed in the incubator can be built into physical prototyping at the makerspace. Additionally, the incubator's entrepreneurial program will support the commercialization of prototype development. While the CSI Makerspace will have an engineering focus, it will be interdisciplinary in scope, expanding its use to faculty and students from computer science, chemistry, creative arts and media culture. Similar to the CSI Tech Incubator, the makerspace will also serve as a community innovation center, offering programming to local high schools and community-based organizations. Valuable lessons learned from the previous development of research labs and computing centers at the College of Staten Island will be instructive for the development of the CSI Makerspace. Many of these labs and centers were initially funded through large investments, and there was less urgency at the onset to construct a comprehensive budget model for their continued financial sustainability. Years later, the college is now faced with the dilemma of having to locate resources to fund, during challenging budgetary times, new equipment, software, service contracts and personnel. With the CSI Makerspace, even at this preliminary stage prior to design and construction, the college is already strategizing multiple future funding sources, including additional government funding, grants, philanthropy and corporate sponsorship. A sustainable financial model will ensure the makerspace's continued relevance for students and faculty in a world of rapidly changing and disruptive technology. The 2014 Brookings publication advanced several models from which Innovation Districts rise. One such model — the "anchor plus" model — emanates from city centers where "large-scale mixed-use development is centered around major anchor institutions and a rich base of related firms, entrepreneurs and spin-off companies involved in commercialization of innovation." In alignment with the anchor plus model, last year the college developed a new Strategic Plan setting forth "Borough Stewardship" as one of its major priorities, with an overarching goal of advancing greater reciprocal engagement with the community. Most recently, the college was one of only 33 national higher education institutions selected to participate as an inaugural member of the "Higher Education Anchor Mission Initiative," a joint project of the Coalition of Urban and Metropolitan Universities and The Democracy Collaborative. CSI is joining with other nationally prominent institutions "to develop and share strategies for deploying higher education's intellectual and place-based resources to enhance the economic and social well-being of the communities they serve." For Staten Island, becoming a true Innovation District is still in the aspirational phase. Though we lack the requisite scale and diversity of innovation entities, the seeds of an innovation ecosystem have been planted by the success of the CSI Tech Incubator and planned CSI Makerspace. The College of Staten Island is well-positioned to anchor the inception of an Innovation District on Staten Island and to steward its renaissance from its legacy as the once "forgotten borough."